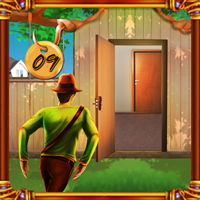 Escape The Angry Dog is the latest point and click escape game created by Avmgames Team. There is a reason why you don't like to have pets rather than fish. Fish calms you down and they do not bite. They just swim around the aquarium with no harm. However, your best friend doesn't know about this. He sent you a surprise for your birthday and what's inside the box is something that you don't expect. It's a dog but it's not just a dog. You know that dogs are energetic and sometimes boisterous. But this one is different, it is twice as boisterous as other dogs. This scares you a lot but you can't just send this dog away. So, you are the one who must adjust with the situation and escape from the room. Unfortunately, you lost the key to the door so you can't get out. There is nothing you can do but to look for your key. Your friend is out of town so he can't be responsible for this mess at the moment. 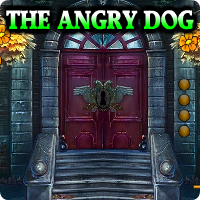 You have to look for clues and think of your own way to escape from the angry dog. Good luck and have fun!